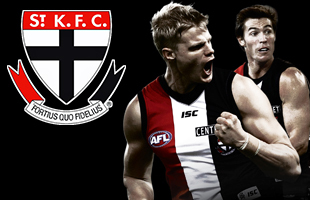 New Zealand still wants to host AFL games despite St Kilda’s retreat from the nation and the League’s focus on China. The Saints have now committed to playing in China for the next three seasons, selling a home game to Port Adelaide and the AFL to play an annual match in the world’s most populous nation. It means there’s next to no prospect of the Saints hosting games in New Zealand for the foreseeable future with the last of the three matches in Wellington back in 2015. AFL New Zealand concedes it won’t be in a position to host games for premiership points for at least four years. “The reality is that in 2019, Auckland is unable to host an AFL game,” AFLNZ chief executive Robert Vanstam told AFL.com.au. “With the redevelopment of Western Springs Stadium, our aspirations are to make this a reality within the next four years. “With the development of the female pathway within New Zealand, we are hopeful of making an impact with live content in Auckland on more than one level. St Kilda insists it hasn’t abandoned the New Zealand market, but wants to play in Auckland, rather than the iconic ‘Cake Tin’ stadium in Wellington where it played three Anzac Day games from 2013 to 2015. “We are proud to have been the first club to take a regular season match abroad, but the reality is that if New Zealand is to work, then a suitable venue in Auckland is required,” St Kilda chief executive Matt Finnis said in a statement. St Kilda has replaced Gold Coast as the host team against Port Adelaide in Shanghai, with next season’s game to be played on Sunday June 2. While Port Adelaide is the driving force behind the China experiment it cannot host games in its own right because of existing contracts with Adelaide Oval. The Victorian government had been keen for its state to be represented in the Shanghai game to allow to greater trade and tourism engagement.